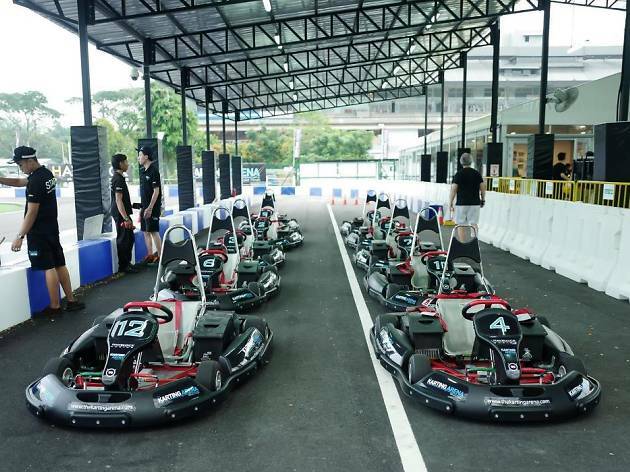 The circuit bills itself as ‘Singapore’s first-ever permanent electric karting track’. To let the numbers do the talking, the track is 545m long, 8m wide, and has 11 turns, including a hairpin and a chicane. 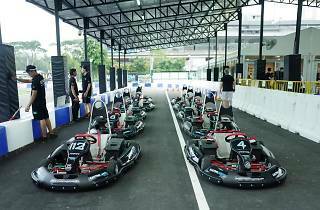 The karts are electric – meaning they produce no fume and little noise – but we are promised that they can reach speeds of 30 to 50km/h, and can outperform their gasoline-powered brothers. The arena even has its own app, which features an automated queuing system and lets visitors track lap times and results. A weekly racing league called the E1 Challenge takes place on weekday evenings across two categories – one for those below 18 years old, the other for those aged 19 and above – where drivers can race for prizes and cold, hard cash. And even if you don’t know how to drive, it’s all good. No license is required, so get ready to hit the tarmac and channel your inner Lewis Hamilton.